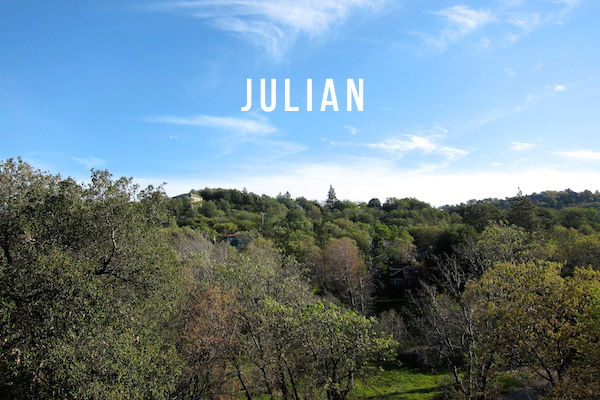 A little more than an hour east of San Diego, Julian is set within the Cuyamaca mountains and its “downtown” is a charming throwback to pioneer style with a touch of the Wild Wild West. Going there is so transporting; the beaches and trendy juice bars feel far away. Beyond hiking, there are breweries, wine tasting, and quaint boutiques, with cute bed and breakfasts to make for a mountain getaway. Just how much of a getaway? Well, one house proudly posted a Confederate flag. So there’s that. The fact that Mexico is just 20 miles from San Diego still boggles this former East Coaster’s mind. And the fact that you can just walk across the border? Insane! I’m getting to know our neighboring country more now that I live in San Diego, since before I moved out West in 2013, I had never even been to Mexico! For shame. But as much as I like exploring on my own, I wanted some guidance for this new-to-me Baja world, a tour that didn’t reek “follow the flag” and “this way please,” but something that felt more hip and modern. My search led me to Club Tengo Hambre, a roving supper club started by a collective of bloggers based in both San Diego and Los Angeles. Their trips focus on dining and drinking in Tijuana, Ensenada, Valle De Guadalupe, and now Mexico City, and they bring a wealth of knowledge with them. For example, our guide, CTH co-founder Antonio, grew up on both sides of the border and had been to many of the spots on our trip. 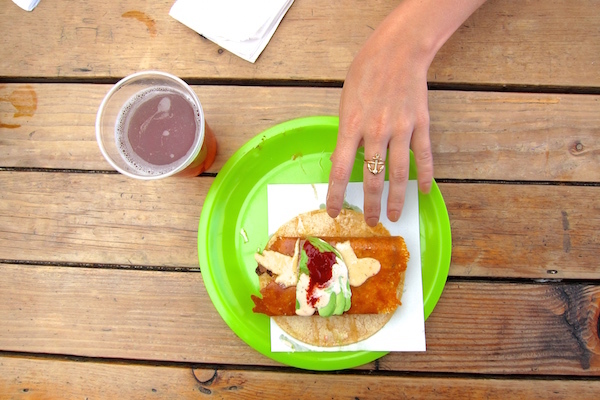 My friend, Lauren, and I went on their Tijuana Tacos + Craft Beer tour last weekend and had so much fun pushing our taco boundaries (i.e. a manta ray, tuna fun, and blood sausage version) and getting a feel for the high-low food options and emerging craft beer scene. A couple of weeks ago, I got to spend two blissfully relaxing days in San Felipe, Mexico, a chilled-out seaside town on the eastern shores of Baja California that’s lined by the Sea of Cortez, which boasts some of the warmest waters in this part of the world. It’s not one of those destinations where you fill your days with back-to-back tourist attractions and activities. With a population of just 20,000 people, it’s more dialed down than that. Water sports and fresh seafood are the main draws, but the notion of a margarita in hand, chips and salsa by your side, and a view of the sea ahead of you is the real charm behind San Felipe. The town has been known as a vacation and spring break hub, but due to the economic problems that plagued much of Mexico in the 2000s, San Felipe is slowly getting back on its feet. Developments are on the rise, including golf courses and condo buildings, and there’s a renewed interest, spearheaded in part by SeaPort Airlines‘ decision to start direct flights from San Diego to San Felipe. 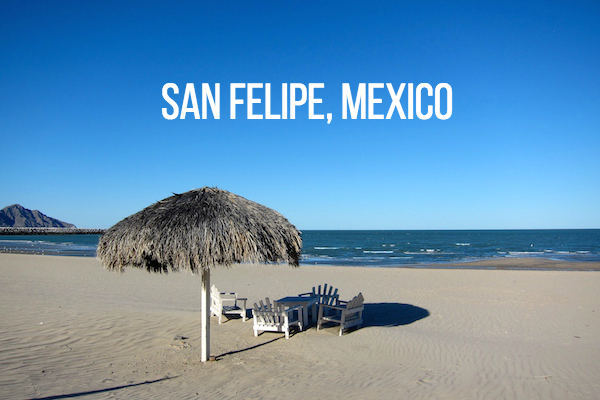 San Felipe is the kind of place you go to walk a little slower, sip a little slower, and decompress. And given the proximity to San Diego, it’s an ideal weekend trip. We flew down to San Felipe, Mexico on Thursday for a two-day getaway sponsored by Baja California Tourism, SeaPort Airlines, and the San Felipe Marina Resort & Spa. I’ll be sharing all the details about the trip in a separate post, but I had to include one peek. 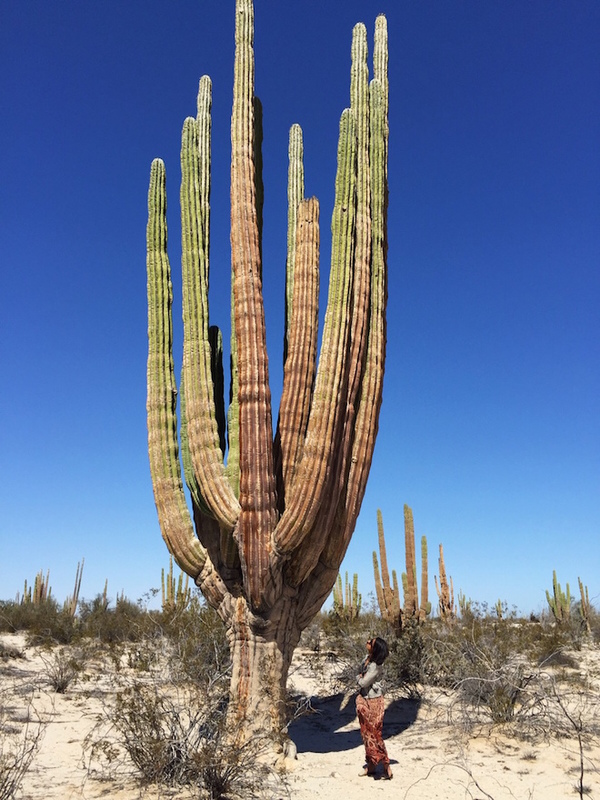 Valley of the Giants, a cactus valley near San Felipe, is home to hundred of cacti, some of which are 2,000-year-old! Standing amongst these monsters was one of my favorite parts of the trip. 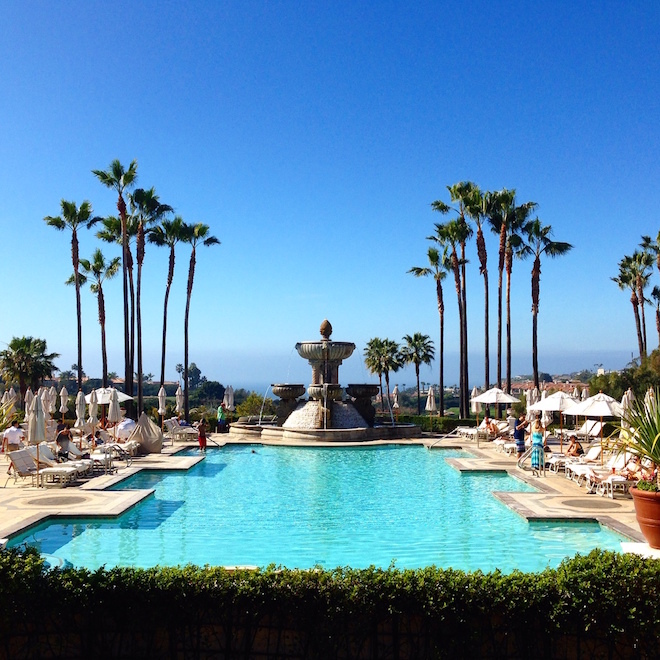 Luxury, thy name is St. Regis Monarch Beach. I was (super, duper, ridiculously lucky) to be hosted at the oceanfront Dana Point resort this weekend to check out the property, located just one hour north of San Diego, and try their Vegetable Discovery Tasting Menu, a five-course dinner (with more amuse bouches than you could dream of) that focuses on vegetables from California’s central coast. The resort boasts a lot of upscale amenities, like butler service, an award-winning spa (where Princess Diana’s former hair stylist now works! ), three swimming pools, and more than 400 rooms and suites that are currently undergoing a refresh for a summer reveal. We started our stay with a few hours at the pool because even though I love the beach, solid pool time (see photo above) is something we never get to enjoy in San Diego. (I’m sure all you Midwesterners and East Coasters dunked with snow hate me right now.) This main pool is one of the most flawless I’ve ever experienced. From the layout to the playlist (i.e. Jack Johnson) to the on-point cabana service, it’s a real treat to relax there. The road trip possibilities were one huge draw to moving to California. We’ve already (hastily) covered the PCH, drove to Julian for hiking and apple pie, done a handful of trips to L.A. and on Saturday finally made the short 1.5-hour drive up the coast to Laguna Beach. We had visited the artist town on the beach back in 2010 as part of that fateful San Diego visit that encouraged us to move West, and it’s kind of insane that it took us this long to go back considering its proximity. 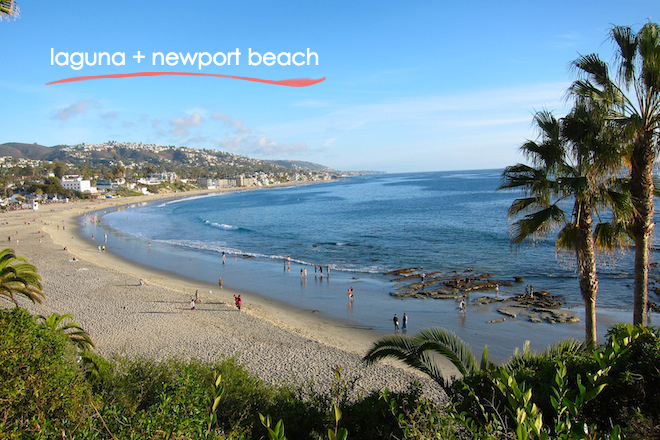 Just 80ish miles up Highway 1, and you’ll find the glossy and well-manicured city of galleries, extensive hiking trails and our favorite Heisler Park that wraps around the coast. You may even come across Laguna Beach High School, like we did, and break into that Hillary Duff song. Yes, Laguna can feel touristy, but it’s just so darn pretty that I almost don’t care. This time around, we also made pit-stops in Costa Mesa (for donuts) and Newport Beach (for the beach), and even though San Diego has a very similar landscape, this part of Orange County feels more like a vacation spot, and I was quite literally basking in the sunshine after feeling all cold and covered up in the East Coast the previous week. On my last visit, I was in town for my cousin’s wedding, so with all the hubbub, I didn’t have much time to stop and appreciate the fine art of sitting in one’s pajamas all day and melting into the couch with snack crumbs scattered on one’s sweatshirt. No, this visit home was much more low-key and also an interesting eye opener because it’s dawned on me just how far away I live (and feel) from where I grew up. When I’d visit home-home from college in Chicago or working in New York, it was pretty much the same pace, look, feel and weather. 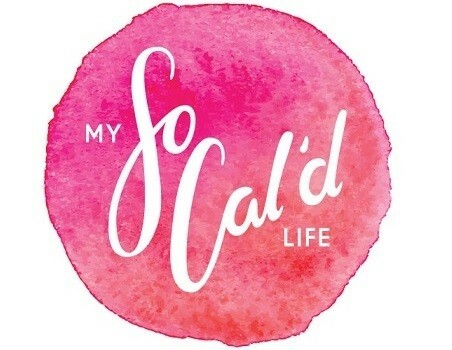 But now that I live in the land of palm trees and perpetual sunshine and in a very different culture, I feel worlds away from where and how I grew up, and it’s given me a strange, disconnected feeling. I think it’s the first time I’ve realized, wow, I live all the way in California in an urban beach town, and that’s not ever where I thought I’d end up. Funny the turns your life can take. 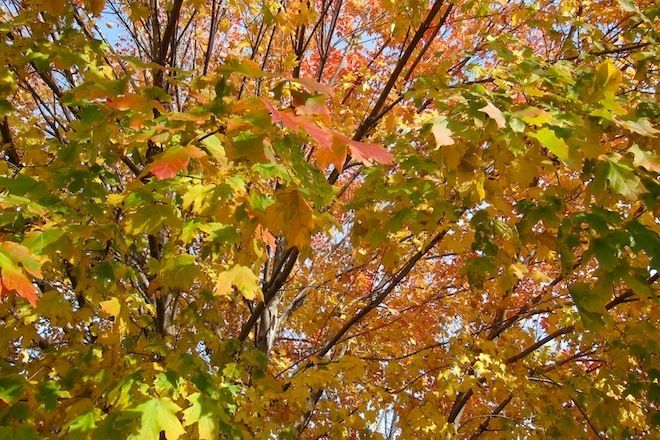 That said, there’s nothing to get me back in the East Coast spirit quite like seeing my family, eating my mom’s home-cooked food, seeing the changing color of the leaves—my neighborhood is bursting with Technicolor happiness—and doing fun, frivolous things like shopping and getting manicures with my mom. I also managed to see my cousins and a close friend, who brings that home feeling back for me as much as family can. I’m really loving this living-by-Mexico thing. 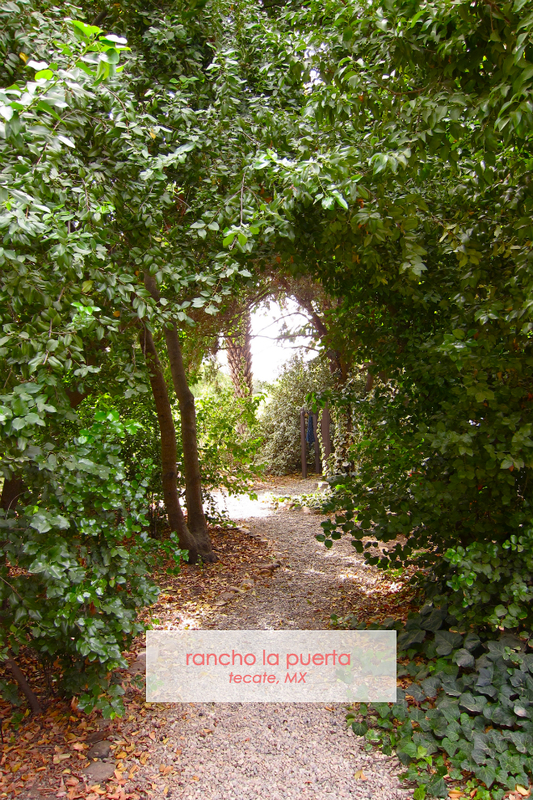 As I mentioned before, on Sunday I took a day trip to the luxury wellness resort, Rancho La Puerta in Tecate, Mexico. Unlike your typical high-end resort property, Rancho La Puerta isn’t about mai tais on the beach and baking in the sun; it’s a rustic retreat that focuses on detoxing, exercising and nourishing the mind. Guests typically stay for weeklong visits, which is how long the ranch’s founders believe it takes to witness a change within yourself. 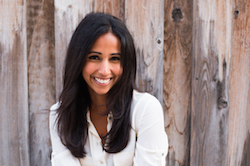 During that time, guests take part in Rancho’s cooking classes, art classes and many, many workouts classes—I did Zumba and foam roller stretching classes myself—and get three organic, vegetarian meals included in the rate. The whole property is huge, so walking from one area to another is a workout in itself.